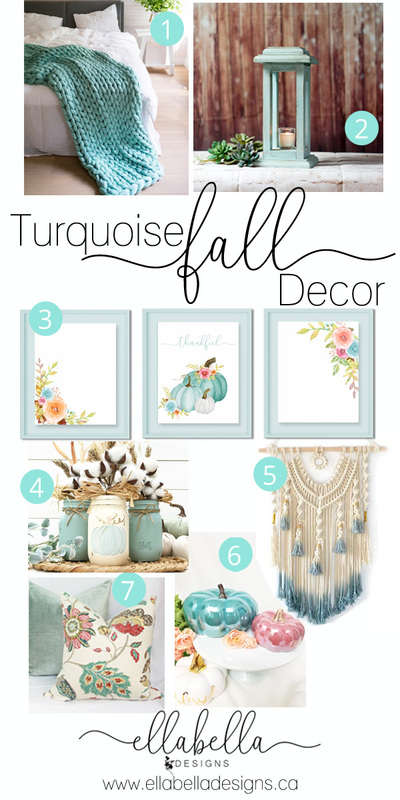 I love all things turquoise and after creating a set of new fall printables for the shop, I thought I’d scour the internet to find some matching turquoise fall decor! I’ve compiled a list of my favorite 7 turquoise fall-inspired home decor items to easily decorate your home for the season! 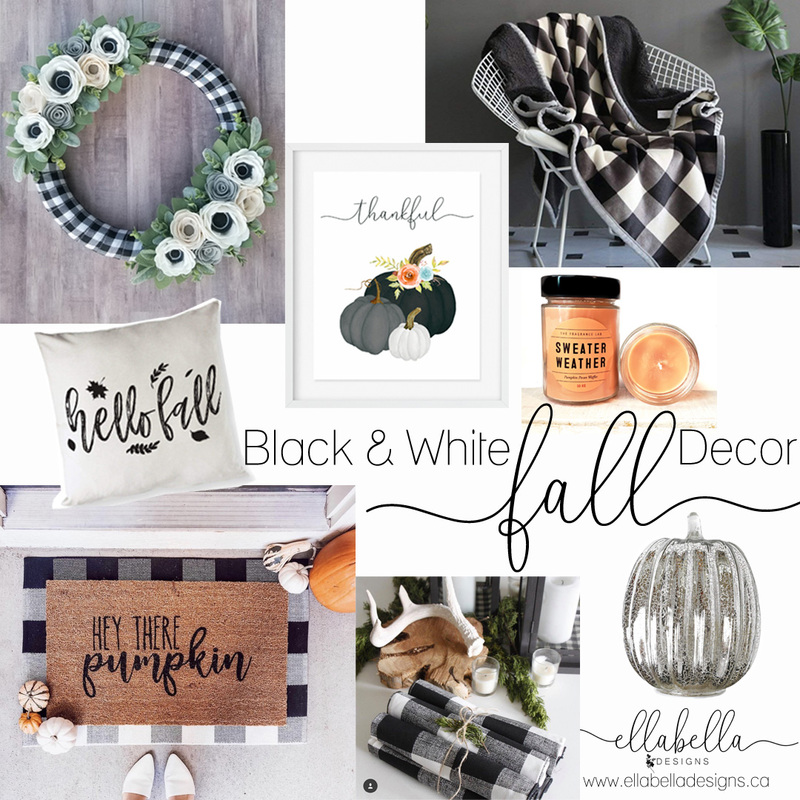 Whether you are looking to decorate your porch, dining table, or living room, you’ll be enjoying a cozy home with these fabulous fall decor items! I hope you’ve had some inspiration from this fall decor round-up! 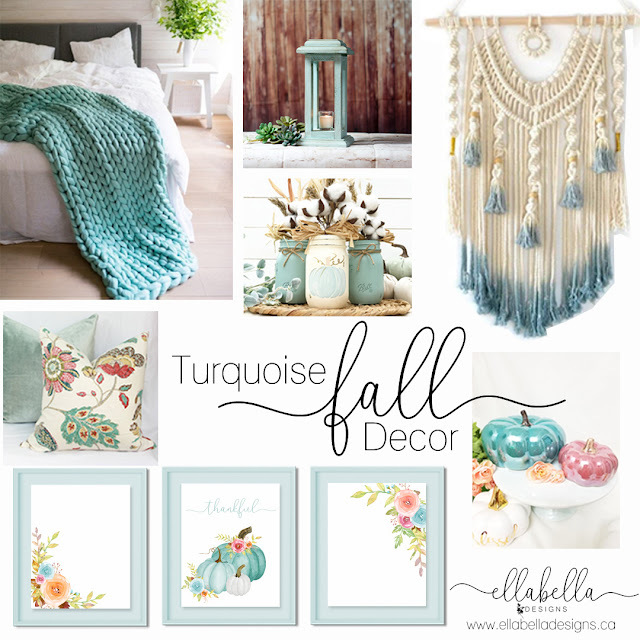 What is your favorite way to decorate your home for the fall season? If black and white plaid are your thing, you’ll want to check out this post for even more fall decor ideas! Don't forget to check out the Ellabella Designs shop for our newest printables to decorate your home! I'd love it if you pinned and shared! Thanks!